Finding the perfect Women’s Self Defense Class Keller TX lesson plan is a really tough task to go it alone. Are you someone who’s really intimidated by the idea of learning proper self-defense alone? Maybe you’re unsure of where to start, and you’d like some professional experience and assistance. If this sounds like you, then Tiger-Rock Martial Arts is the perfect company to reach out to. While it might be intimidating to think about, the truth of society is that there are dangerous people in every community in the world. While we can’t always plan and try to anticipate what they might do, we can, however, make sure we have self-defense skills. You never know when someone might approach you when walking home alone from school or work one night. When these types of incidents take place, you’re going to want to be able to protect yourself. Gather these skills and prepare yourself for nature by training right here at Tiger-Rock. TRMA has been a staple in this industry for a very long time. Our dojo started humbly back in 1983. Ever since then, we’ve developed what we’ve built into a martial arts franchise that is the most well-known of its kind. If you’re looking for a place that has a stellar reputation of helping students make real changes and improvements, this is the place for you. Our team of certified instructors is ready to help you develop your self-defense skills. With a vast amount of experience training all types of students, we think you’ll find the guidance you need in our dojo. Being approached by a stranger in a very violent manner is something that nobody wants to experience. However, it’s an unfortunate truth that comes along with our world. Our instructors understand this, and we’re committed to providing you with high-intensity drills that mimic these scenarios. Nothing can replace what the real-life situation is like, but we do our part to give you the repetition you’ll need to strengthen your instincts. You won’t always have much time to think during these high-pressure circumstances. Make sure you make the most of your time and abilities by honing your skills in our Keller TX dojo. Placing yourself in a self-defense course can greatly enhance your physical fitness level. Are you worried about your current capabilities? Perhaps you’ve been dealing with muscular atrophy over the past few years and now you’re unable to strike the way you used to. Maybe your cardiovascular health has taken a turn for the worse and now you don’t have any stamina. These are two very common conundrums that aging adults go through, and it’s completely natural and regular for people to experience this. While it can be discouraging at times, you can count on us to help you get through it. At Tiger-Rock Martial Arts, you will have the Women’s Self Defense Class Keller TX resources you need to get stronger and faster. Many people struggle to develop the necessary physical capabilities that they need for self-defense, but you won’t have this issue at TRMA. Our instructors can put you through the rigorous training you’ll need to enhance your fitness levels. Many of our students report improvements after only spending weeks or months in our Keller TX karate dojo! While it’s important to make sure you’re able to be physically fit when you’re encountering danger, this is not all that it will take. Are you someone who frequently has mental lapses and bouts of lessened focus? While everybody’s human and susceptible to these types of problems, it’s important to minimize them at all turns. You’re going to need your mind to be in its best possible condition when defending yourself. There’s no time for second guesses, hesitation, or regrets. This might seem like a lot to handle, but TRMA can help you sharpen your mind and get the most out of your cognitive capabilities. If you’re someone who’s trying to master self-defense, you’ll definitely see an improvement in your discipline and confidence after a while. Our instructors are here to ensure you improve on a regular basis and master what you set out to do. 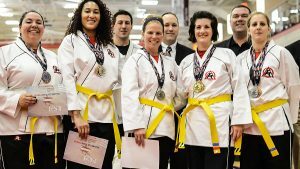 Make sure you’re able to join a Keller TX dojo that will help you get better without taking advantage of your support. There are many gyms and studios out there that will attempt to lock you into a long contract, and this is something that nobody wants to put up with. If you’re trying to avoid this, you’ll be glad to know that Tiger-Rock does not participate in these types of transactions. We want to make sure you get the help you need, and you can count on our billing statements to be clear and transparent. Furthermore, there is no type of long-term agreement you have to lock yourself into to enjoy our classes. Visit Tiger-Rock today for more information! 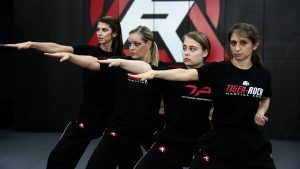 Finding the right Women’s Self Defense Class Keller TX is a big deal, and it shouldn’t be taken lightly. 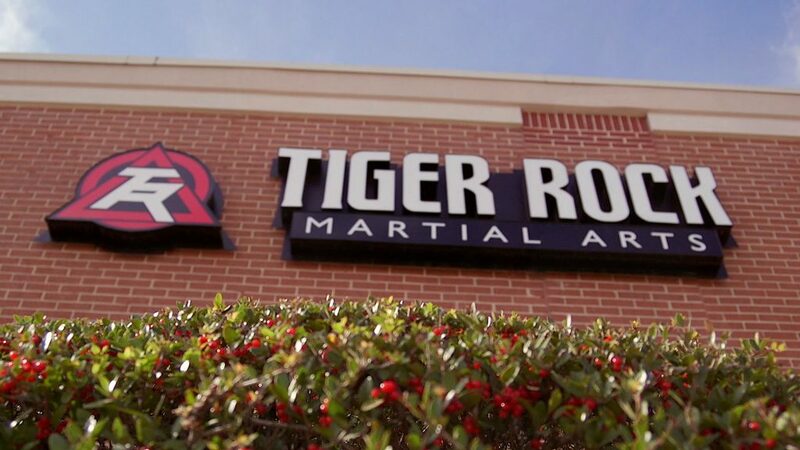 If you’re ready to start getting the most out to your self-defense skills and you’d like some assistance, Tiger-Rock is here for you. Our instructors have the experience you need to improve your hand-to-hand combat abilities. For more information on our classes as well as details on our schedules, contact us for more info. We’re ready to jump-start your transformation towards becoming the person you always knew you could be! Keller is a city that has been around for a very long time. While it’s not the biggest name amongst Texas cities, its settlement traces all the way back to the 1850s. Back in the day, Keller was a great place for farmers and barterers to do business. It was located close to the Texas Double Springs, and it was a great headquarters for years. However, over time, our community started to evolve. After the 1950s, we were officially incorporated as a city of the Lone Star State. As part of Tarrant County, you will be able to easily and consistently access the greater metroplex of Dallas and Fort Worth.